In addition to knapped flint, I have been asked to make all sorts of items for interested individuals and museums, so the work day is never dull! Here are some pictures of Roman period arrows and a quiver for a member of the Deva research group in Chester. They are employed by the city council to undertake the tours as well as educational workshops about Roman Chester. The quiver was made from split veg tanned cow hide and is painted with egg tempera pigment paints. The style of the quiver is taken from the Notitia Dignatatum and although, it is a later date than the impression the customer is representing, we do see an example of this style of quiver on the base of the column of Trajan (from the plaster cast in the V & A, as the original is badly coroded through pollution damage). That's very impressive, do you know much about the bow they would have been shot from? I'm going to make a set for a Neolithic replica project loosly based on Otzi's quiver, I'll post my progress as soon as I make a start. Must order the skins! I use a guy called Kyle for my skins. He tans them naturally and they are lovely. I'll have to find the details. 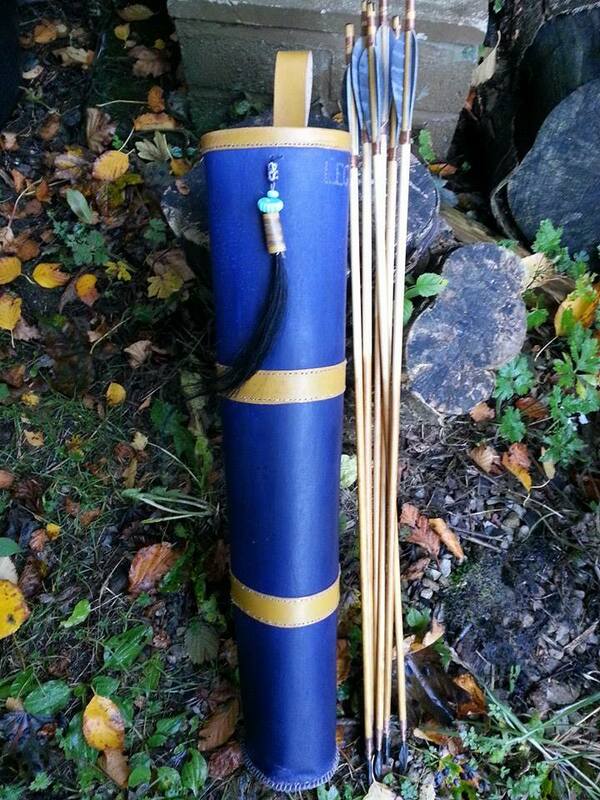 I've got another project that requires an early BA quiver too, so when I find his email I'll let you know if you want. His prices are incredibly reasonable.